Here at Farm & Pet we specialise in providing an extensive selection of farm animal supplies and medicines to keep your beef cattle healthy and strong. 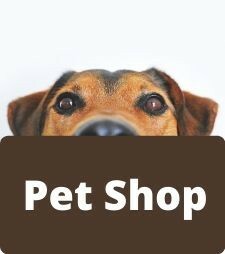 Our range includes general health products, parasite control and supplements and they can be bought singularly or in bulk dependant on your requirements. We stock many well known brands and products to ensure that you can find a product which fits your requirements exactly. The health of your beef cattle is incredibly important and can impact greatly on your business. It's therefore essential that you have the correct farm animal supplies for your cattle, and to ensure you can treat them quickly if a problem should arise. Here at Farm and Pet we have a wide breadth of experience in the Farming industry and so have gathered together a range of farm animal supplies to cover all aspects of your beef cattle healthcare. We stock a comprehensive selection which ranges from parasite control, through to supplements which focus on specific beef cattle deficiencies. Browse through our full selection of beef cattle products online, which can be purchased singularly or in bulk and will be delivered to your door. If you would like to find out more about our farm animal supplies then please get in touch with a member of our team or contact your vet.